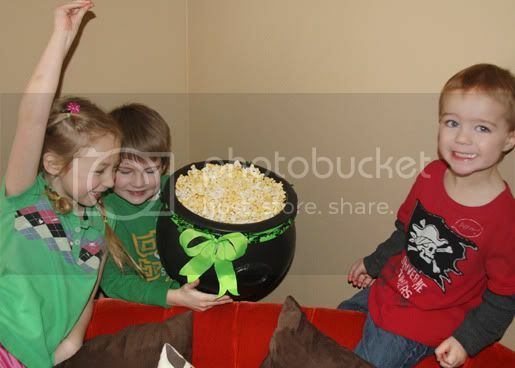 For Your Saint Patrick's Day party this year, you could do a Treasure Hunt! 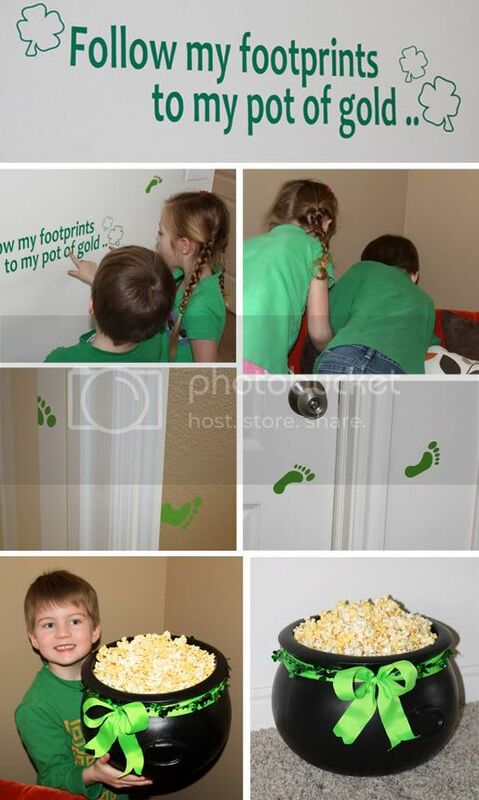 This kit comes with the 23"x6" Leprechaun message and 16 sets of Leprechaun footprints (32 total)! And, the amazing thing about vinyl is you can put it on the ground, couch, ceiling, anywhere you want! 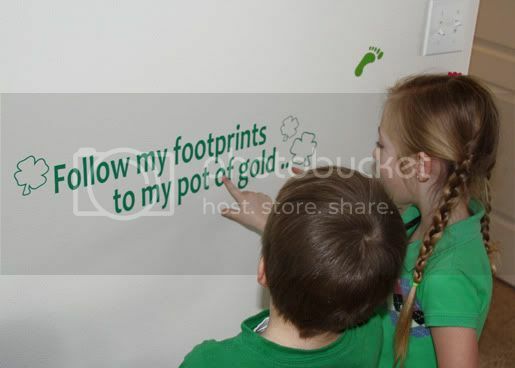 You kids will have so much fun following these footprints they won't need any parental help! My favorite thing about this activity was that even the tiny kids (18 and 24 months) were able to follow the footprints on their own! Success!!! Also, you could use popcorn in your pot of gold instead of chocolate gold coins, because we all know how expensive those gold coins are! And what kid doesn't LOVE popcorn? 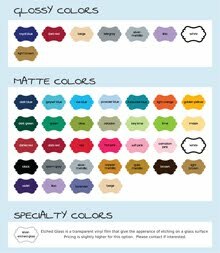 The St. Patrick's Day Party Activity- Treasure Hunk Kit can be found here at my Etsy shop.